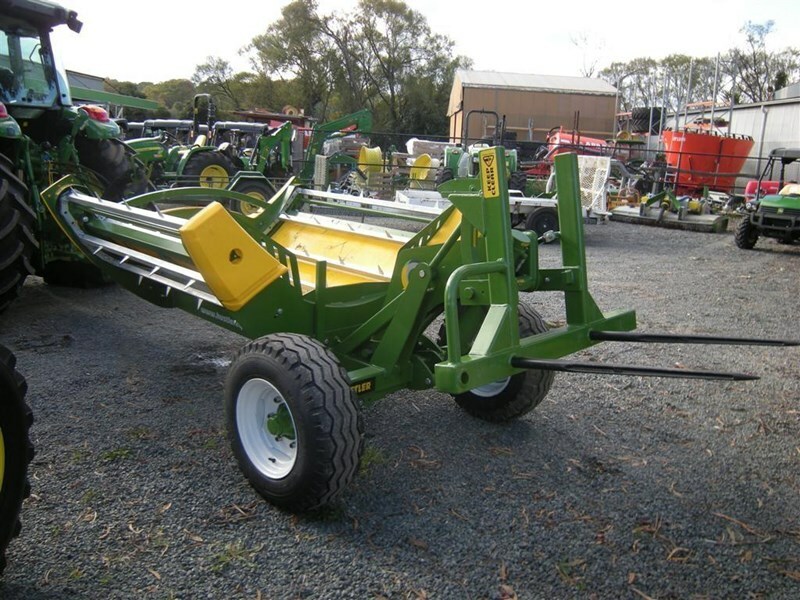 New Hustler SL700X Hay & Silage Bale feeder. 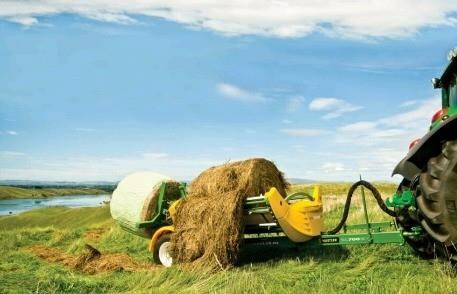 Patented mechanical self loading 2x round bale system. No FEL required to load! One machine operation. 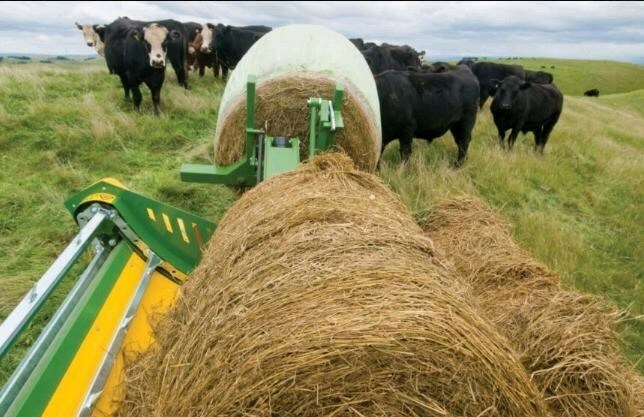 Can have one bale in chamber to feed out, then a second bale on the self loading forks ready to load into chamber up the paddock when required. Feeds left or right side. 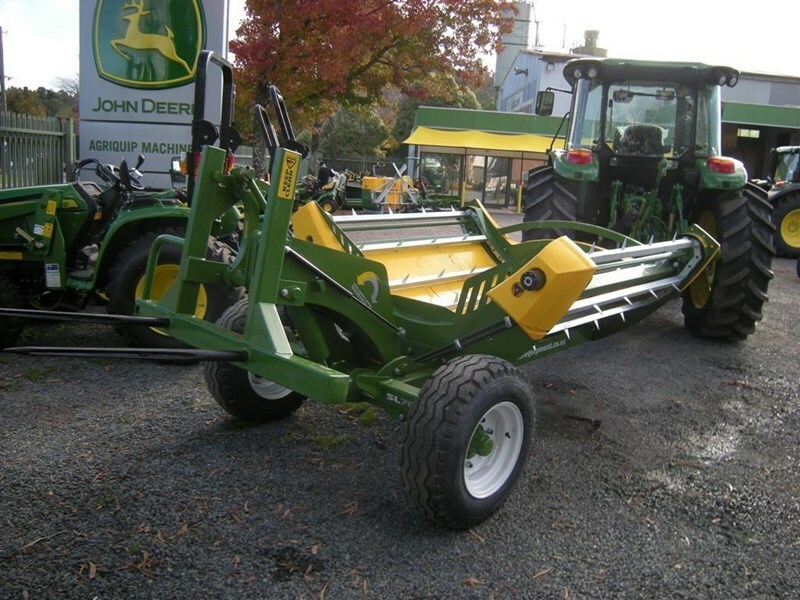 Very Heavy Duty, 12000lb roller chain fully hydraulic for precise bale control. Toughest Chain - Zinc plated rated to 12 ,000ib each with heavy duty rollers and pins, making the chain drive system teice as strong as the competitors. Strongest bars - 4-5 times stronger torsionally then angle type bars of the same size, and has more aggressive teeth. Low maintenance bearings - Protected double sealed heavy duty 4 bolt bearings with trash shields. Enclosed Sprockets - 6 Tooth sprockets made from Bis-alloy. Polyethylene floor - Reduces feed waste and will never corrode. 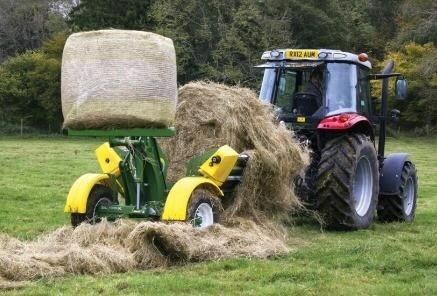 Has less bale drag which makes feeding tough or sticky silage bales easier due to slippery surface. 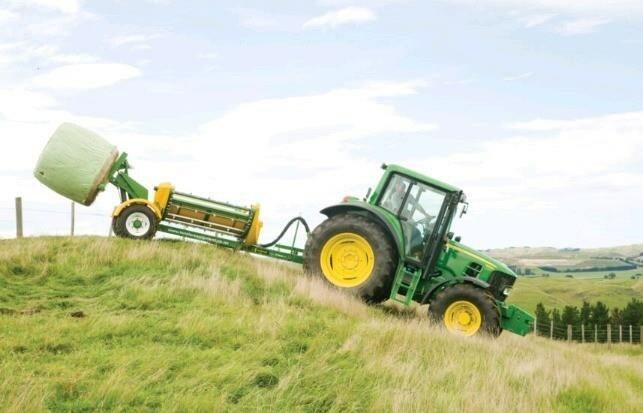 Bale chamber - Steeper and deeper design prevents roll out on steep terrain, holding the bale more securely. Lower Centre of Gravity - 20% increased stability in steep terrain, with exceptional ground clearance. 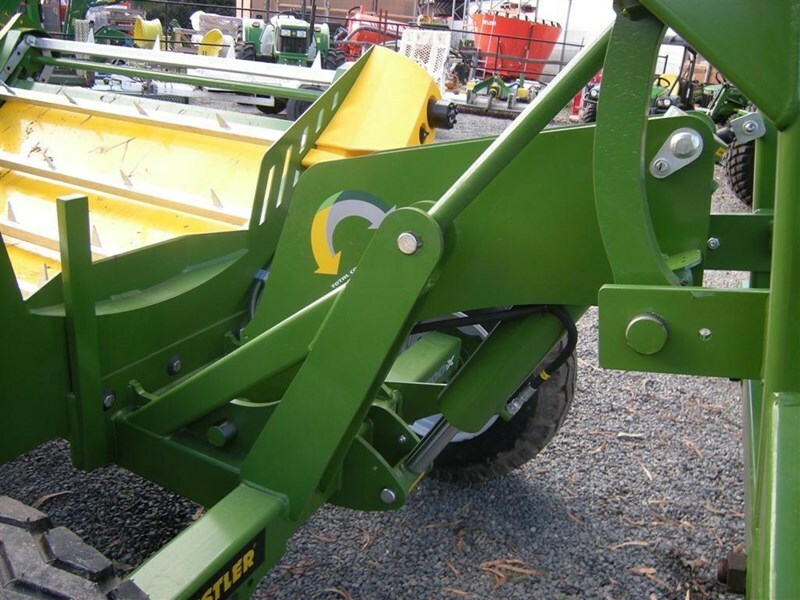 Swivelling tow hook and single post draw bar - Creates tighter turning possible. Covered shafts and fully enclosed chassis prevents feed wrapping around and water rusting the chassis. Can be towed up the freeway on a ute. Clevis hitch and light bar required.